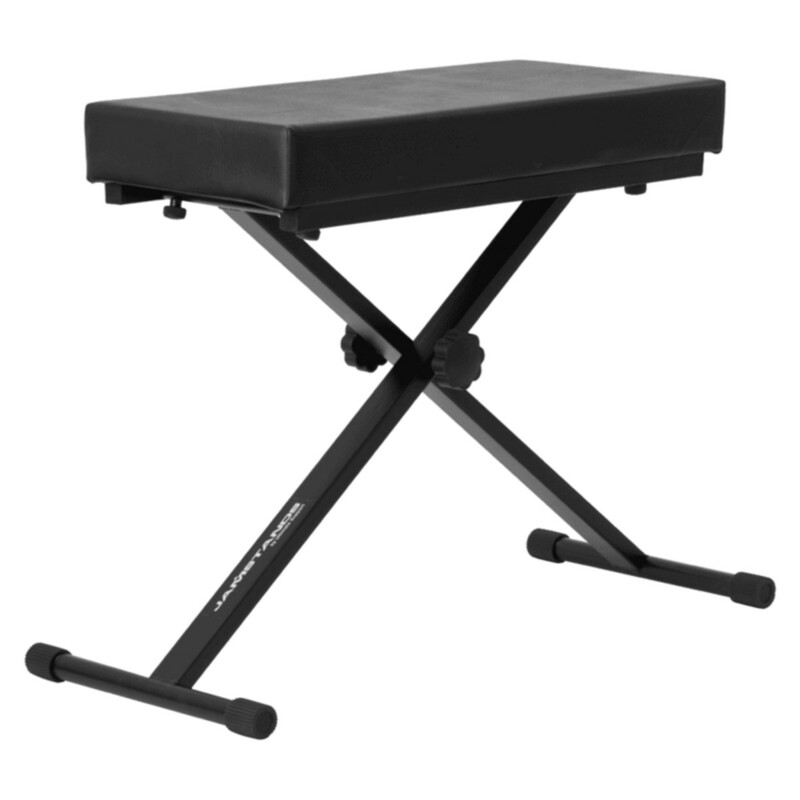 Stay comfortable during long gigs in the studio or on stage with the JS-LB100 Large Keyboard Bench. This bench features a large, thick (2.75") padded seat that helps to prevent fatigue. The sturdy X-style frame boasts a dual-locking clutch system and safely supports up to 250 lbs. You can adjust the JS-LB100 Large Keyboard Bench to any of the eight eights and it folds flat for easy storage and transport. Eight height positions from 21.5" to 26.5"